Is Israel Really a Western Nation? Israel is widely regarded by friends and foes alike as a Western state, but is it really Western? On the face of it, Israel is quintessentially Western, a modern, developed, democratic nation dedicated to and bound by the rule of law. 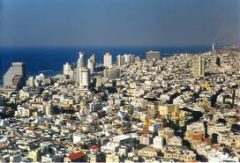 And like classic Western states, Israel has a post-industrial economy, a bourgeois way of life that celebrates individuality, world-class universities and cutting-edge scientific and technological research institutes. More broadly, Israel’s Western values and standards are shared by such countries as Canada, the United States, Britain, France and Australia. On the basis of these attributes, Israel conforms to the accepted definition of a Western nation, Sammy Smooha, a professor emeritus of sociology at Haifa University, said in a lecture at the University of Toronto on Oct. 15 sponsored by the Centre for Jewish Studies. In terms of its image at home and abroad, Israel regards itself as Western, said Smooha, the winner of the Israel Prize in 2008. The majority of Israelis, particularly its Jewish inhabitants, want to be Westerners, regarding the West as a successful and powerful model, he added. According to Smooha, Israel is “completely Western” by virtue of its first-class universities, flow of scientific publications, high investment in research and development and advances in technology. Israel’s armed forces are also very Western-oriented with respect to organization, know-how, fighting spirit and reliance on the latest technology, he noted. But unlike other Western nations, he pointed out, Israel lacks internationally-recognized frontiers, a problem stemming from the still unresolved Arab-Israeli conflict. Israel’s ethnically-based immigration policy, rooted in the Law of Return, is distinctly non-Western as well. And Israeli demography, characterized by a high fertility rate and a low level of divorce, deviates from Western norms, he said. Israel is a thriving democracy, with a multi-party system, free elections and an independent judiciary. But Israel is different from Western countries because it has no constitution, the military possesses sweeping powers, Jewish citizens are favored over Arab citizens, and Israel rules over a disaffected Palestinian population in the West Bank. Israel is also non-Western for a variety of other reasons, he said. 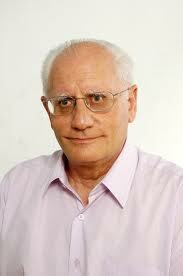 In conclusion, Smooha described Israel as a “hybrid,” a modern and developed “semi-Western” state. Israel did not evolve into a fully Western nation due to the Eastern European origin of its founding fathers, its need for “total mobilization” in a hostile environment and its intrinsic nature as an ethnic and religious state. With the passage of time, he acknowledged, Israel will become “more and more Western.” But as a result of the ongoing Arab-Israeli dispute, full Westernization will be a slow process in Israel.